Pack, Ship and Postal business for sale located in Kendall. This is a Strong national Franchise. 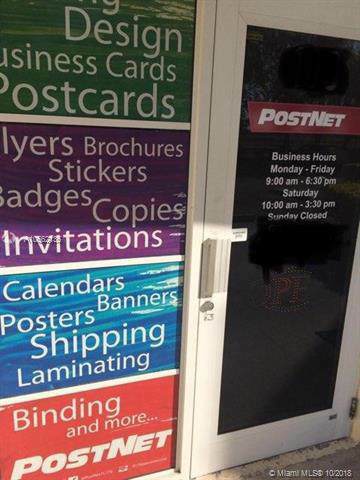 From business cards to full Printing, design services, mailbox rentals and more. This business offers custom packing and shipping options through UPS, FedEx, US Postal Service and DHL. The equipment, signage, and franchise fee are worth more than the list price!. Good franchise support. Owners ready to sell. Franchise training approval and certification required.In an effort to respect the privacy of the owner and patrons, please refrain from contacting any of the employees or owners. Confidentiality agreement required.